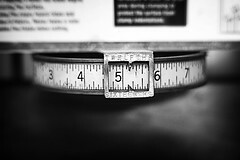 Key Performance Indicators (KPIs) are a universal business measurement tool. A basic question for any business is how do you effectively perform KPI planning to maximize govern the value and results you provide to the organization? It’s a busy answer. It involves specific actionable steps for teams. I’ll answer the question by looking at KPI characteristics, KPI types, and then KPI tips. KPIs can be measured on any time interval (by minute, hourly, daily, monthly, etc.) depending upon the data collection for the metric and the value it provides at specific intervals. There are many classifications for indicators. I like to group indicators as leading or lagging. These two terms are more commonly used in financial or economics discussions. But they have good meaning and relevancy in KPI discussions as well. In this context, a leading KPI is a measurement that can be used to predict with some reasonable confidence, future results. Whereas a lagging KPI is used to measure and state the results of events in the past. Average order value – This metric shows the average amount of a placed order. It is used to measure the amount of money customers spend per transaction and is a reflection of the sales, marketing, distribution, and quality errors of your business. Items per order – This metric shows the average number of items for each sales transaction. It is used to measure the success of cross sell attempts to a customer. New versus returning visitor – This metric shows the percentage of overall customers to your business that are new versus existing or repeat customers. It measures the overall effectiveness of your sales and marketing spend on promotional activities. Hold time – A classic call center metric. Hold time is a leading KPI because longer hold times will result in fewer sales as more customers drop from the sales queue. Conversion rate – In a store environment, whether physical or eCommerce, the conversion rate is the percentage of customers that buy a product who entered your store. The conversion rate is a leading KPI for the total number of orders that you will process in a given time period. If your conversion rate and customer volumes are within consistent marks then you can use the conversion rate to forecast sales for an upcoming time period. Open rate/Click through rate – These two metrics are commonly used in email marketing campaigns. They are a leading KPI for the number of orders that may be processed in a given time period. If your emails have a consistent range of click through rates, and you know your typical conversion rate then you can use this metric for sales forecasting. Make sure the process to gather and distribute the KPIs is easy. If your team has to spend hours collecting and distributing the metrics then eventually the system will create unnecessary strains on the workers which could lead to reporting delays. You either won’t have the KPIs or you won’t use them because you can’t rely on the numbers. Where possible, align management on the same set of KPIs. Teams that area aligned to the same or complementary metrics will work more collaboratively and have a greater chance for success. Align KPIs with business goals. This is really a no-brainer because its a key characteristics of a KPI. But it serves as a reminder that as you create a KPI you should ask if this metric provides a measurement of business goal attainment. Use both leading and lagging KPIs so that your team can be proactive in anticipating results as well as reactive in resolving issues. Limit the number of KPIs to keep the system simple and usable. If you look at a sheet with 20 performance measures listed then the volume of data can be overwhelming for decision making. Create your KPIs in such a way as to truly have “key” performance indicators.